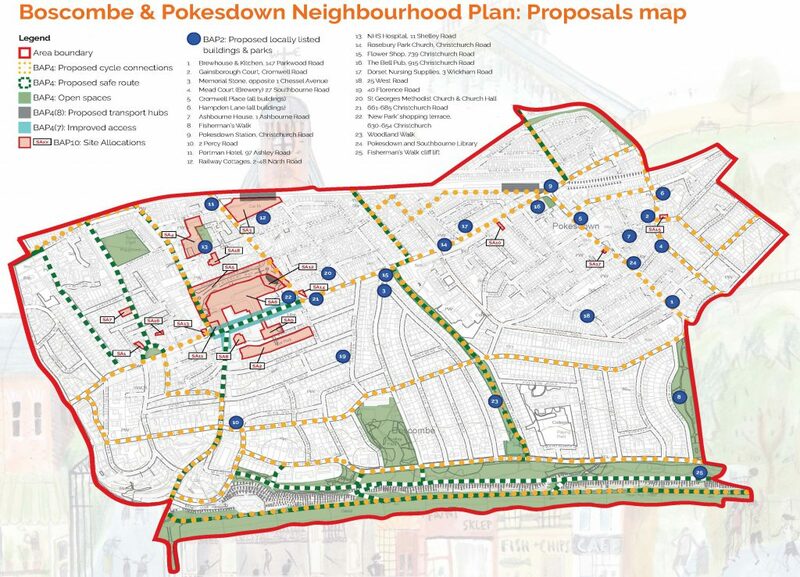 Boscombe and Pokesdown Neighbourhood Plan is an exciting community approach to local planning policies and aims to help people play a direct role in improving the area in which we live and work. It tackles overcrowding, poor quality parks, rundown shops and deteriorating heritage assets. Below is a summary of our draft policies based on four themes. The area has an abundance of old buildings and parks, however many are unloved and are ‘at risk’. Policy BAP1 seeks to retain all old buildings to protect our heritage and sets specific densities o prevent overcrowding. Policy BAP2 proposes new locally listed buildings and seeks to reuse and recycle building materials. Policy BAP3 seeks to retain and renovate historic shopfronts. Policy BAP4 seeks to enhance all our open spaces and provide safer walking and cycling routes. Policy BAP5 is planning for 110 more market homes per year (plus afordable homes) through the sympathetic conversion of historic properties and new builds, where 50% of the homes will need to have three or more bedrooms. Policy BAP6 introduces minimum room sizes for new homes and requires adequate space for bins, bikes, parking, etc. Policy BAP7 seeks to prevent any new houses in multiple occupancy (HMOs) being built to prevent overcrowding. 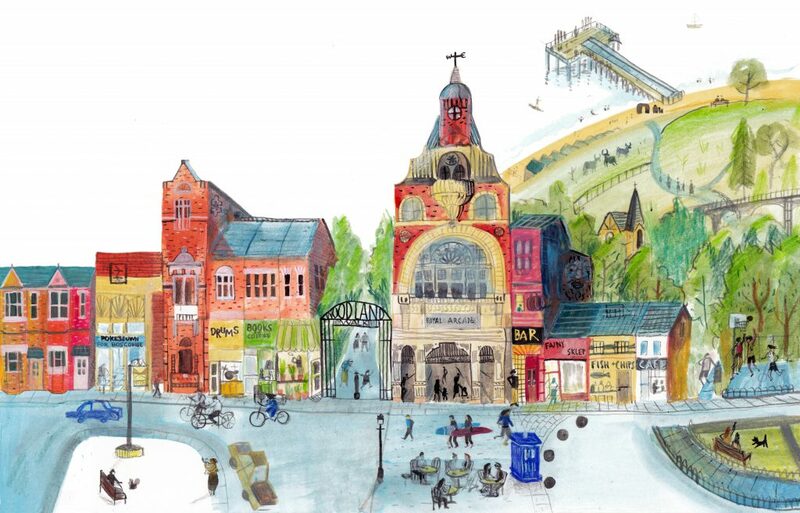 Policy BAP8 seeks to make Christchurch Road the centre of our community and the driving force of our local economy. We also want to celebrate its unique Victorian heritage. Our proposals include the redevelopment of the Sovereign Centre and the conversion of the upper floors f Christchurch Road to homes. In order to accommodate the business needs of the local community, Policy BAP9 seeks to provide new business floor space. Policy BAP10 allocates a total of 18 sites for more than 475 dwellings. We have specific policies on our sites, namely Hawkwood Road Car Park, Royal Victoria Hospital, Gladstone Road West and the Sovereign Centre. Policy BAP11 contains a list of projects that would improve the area. We will be using this list to attract investment. It includes making grant applications and designating a new Conservation Area. Our pop-up shop in the Sovereign Centre (Christchurch Road entrance) will be open on market days, Thursdays and Saturdays, from 11am to 3pm. Come and see the plan, talk to the team, fil out a survey, have your quiz marked and give us your feedback. We have three fun days planned which will include free family workshops (booking required) at Creative Kids Arts Education Centre in the Sovereign Centre, a one-hour Heritage Walk commencing at 12pm, and themed exhibitions and activities. 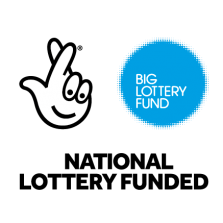 Boscombe and Pokesdown Neighbourhood Plan Forum was designated by Bournemouth Council in 2016. It has 92 members who are volunteers who live and work in the wards of Boscombe East and West. This is a green neighbourhood plan which will provide more family homes, promote sustainable transport initiatives and attract investment to improve the area. Once the plan is adopted, all planning applications submitted in the area will be determined in accordance with its policies. Please help us to shape the plan for a greener, safer and more prosperous Boscombe and Pokesdown by giving us your views.